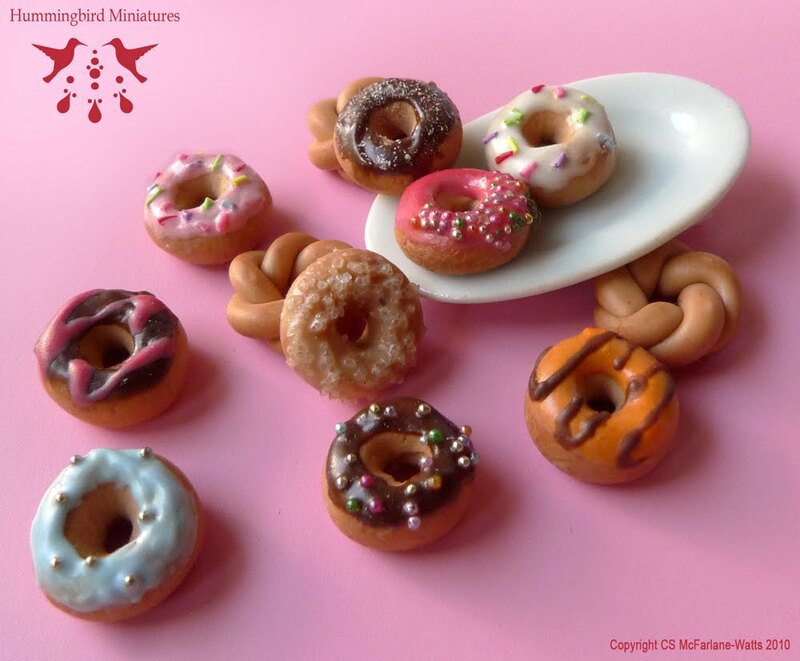 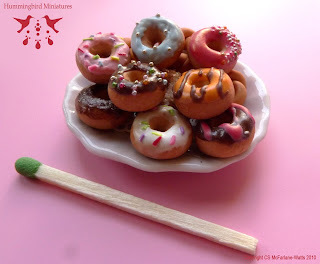 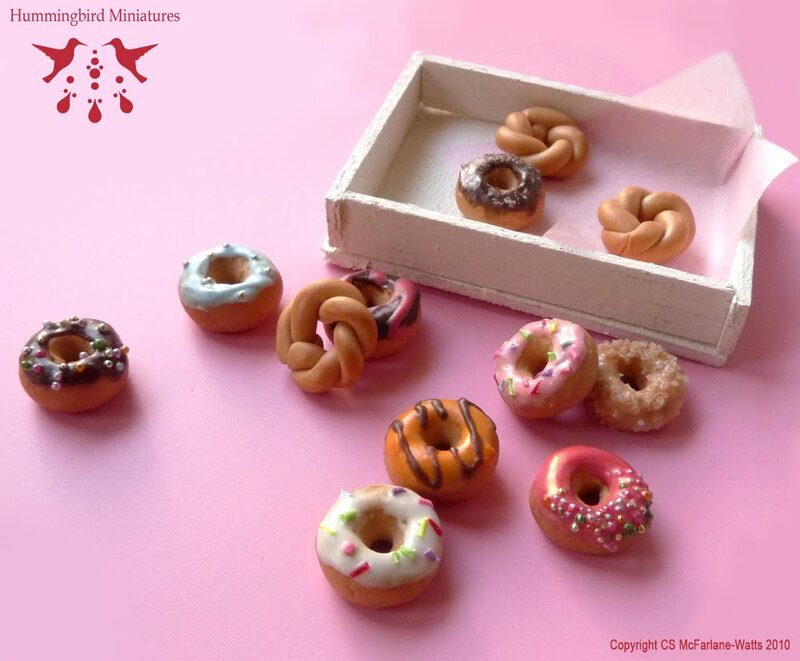 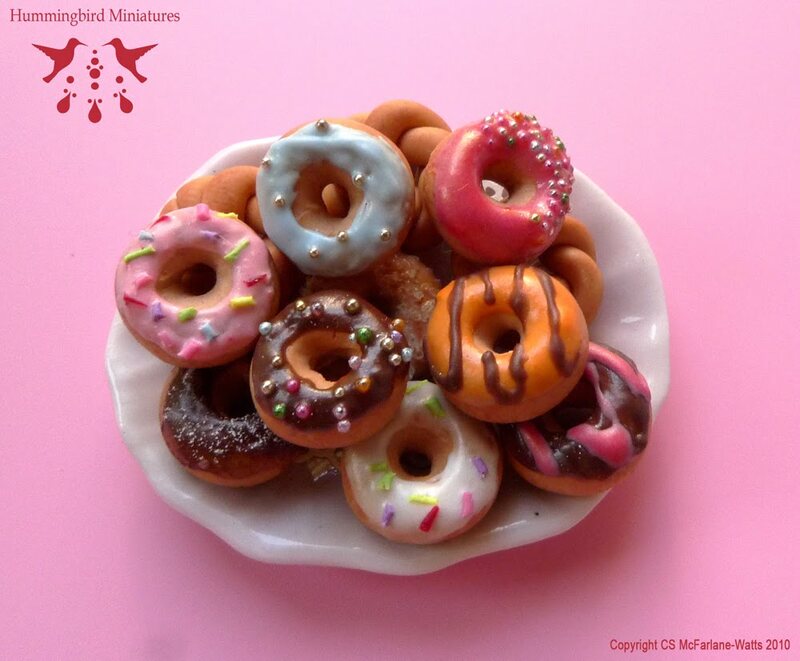 These are 1:12 scale doughnuts with sprinkles, glaze, chocolate icing and frosting. Made from Polymer clay. 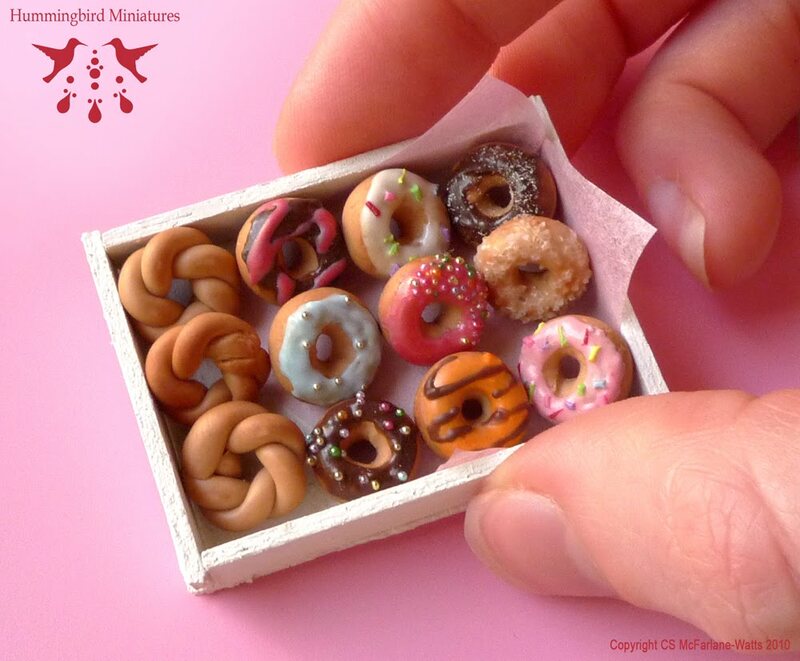 Each one measures 0.8 cm.